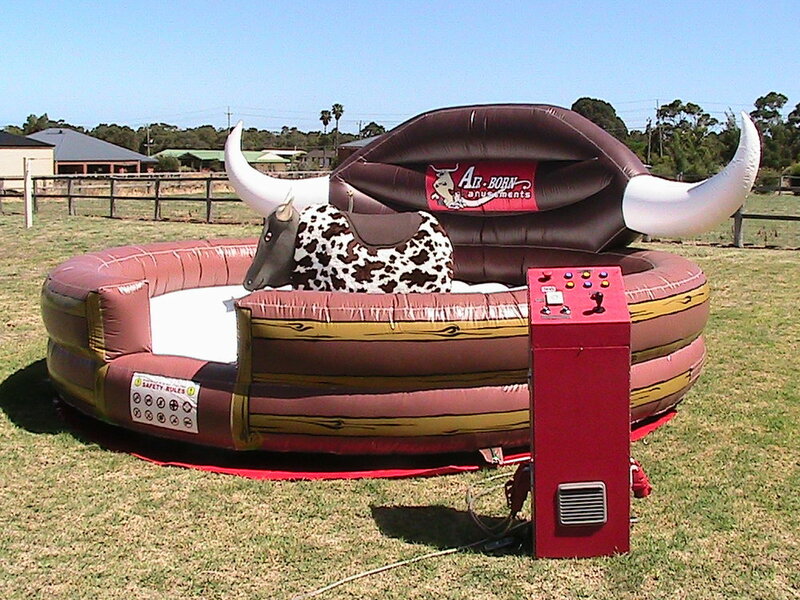 This package allows you to choose from either our Bucking Bull hire, Mechanical Bull hire or Twin Bulls hire. 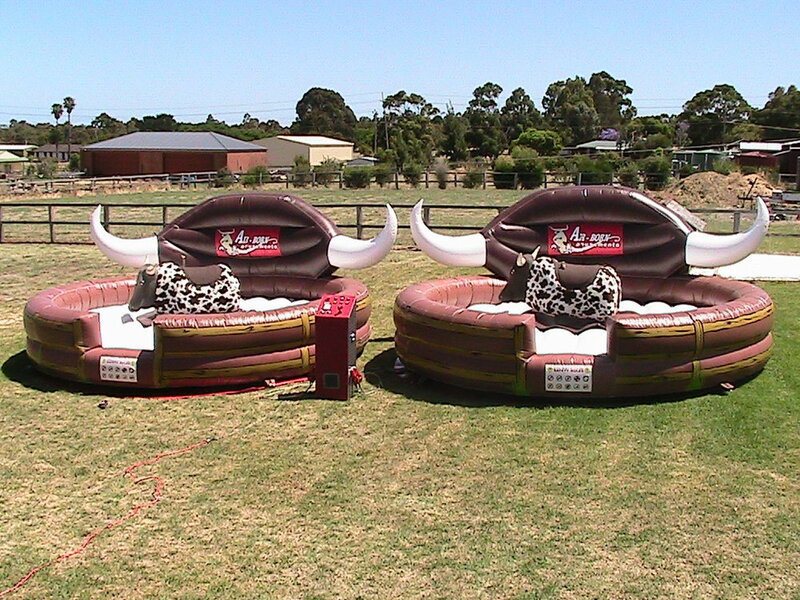 Plus you can choose one inflatable from any of our eligible inflatable range up to $500 value. BucknBounce package excludes Lost Temple, Wizard Castle, Adventureland, Captain Cook and all Obstacle Courses. * excludes Adventureland Bouncy Castle, Wizard Castle, Lost Temple Bouncy Castle, Captain Cook Bouncy Castle and all Obstacle Courses. POWER: 2 ×10 amp power socket within 25 m of unit, on its own circuit. Generator available if required.